Come Early to Join Vesta and 22 of Ojai’s Favorite Businesses in the Arcade Plaza from 9am to 4pm, for the “2nd Annual Merchants Backyard Sale” Hosted by the Ojai Downtown Merchants Committee. Ojai, CA – November 4th, 2010: Vesta the Restaurant located at 242 E Ojai Avenue in the Ojai Arcade in Association with Thirty-Three Productions, Inc. Proudly Presents the Acclaimed, San Diego Based Singer-Songwriter “Lee Coulter” for a Very Special Acoustic Performance to Celebrate the 11th Annual Ojai Film Festival. This highly anticipated performance takes place this Saturday, November 6th from 6pm-9pm as an exciting element of Vesta’s much talked about “Celebration Saturdays” series of events. Enjoy Drink Specials, and an Under $10.00 Small Bites Menu. Guests of the Ojai Film Festival are Invited to Present Your Wristband or Ticket Stub and Receive 10% off ALL Regularly Priced Menu Items. THERE IS NO COVER CHARGE TO ATTEND. Australian born, San Diego-based acoustic singer-songwriter-guitarist, Lee Coulter, who has been compared to the likes of Jack Johnson, has played all around the globe and can often be often be spotted playing his credibly catchy sound all around Southern California at venues like the Belly Up Tavern, House of Blues, Anthology, and Lestat’s, Hotel Café, The Mint, The Viper Room or Cat Club and earlier this Summer at the celebrated Salute! Beer Festival. “It brings me such joy to travel to the beautiful town of Ojai to debut my performance at Vesta during the Ojai Film Festival” said Coulter. “As Music and Film are so often creatively intertwined, I look forward to entertaining festival and restaurant guests and would like to thank Vesta owners and Thirty-Three Productions for making it possible to be part of this exciting occasion.” “Celebration Saturdays” are designed to entertain guests during Vesta’s adVenture Hours, Friday and Saturday evening’s from 4:30 – 7pm. Otherwise known as Happy Hour, the adVenture Hour Menu features special pricing on Sliders, Wings, Garlic, Rosemary and Sweet Potato Fries, Mediterranean Dip, Nachos created to pair with Domestic and Premium Beers, Fine Wines and the Exceptional Sangria Vesta has become widely known for serving up daily. The fun doesn’t start there! If you haven’t started your holiday shopping yet, don’t miss the 2nd Annual Merchants Back Yard Sale also taking place this Saturday. The event, which features liquidation sale pricing from a beautiful array of high-end, closeout Vesta Home Store items, is hosted by the Downtown Merchants Committee features 22 of Ojai’s favorite businesses taking place in the Arcade Plaza from 9am to 4pm, also this Saturday November 6th. When you work up a hunger from all that shopping, replenish mind, body and spirit by stopping by Vesta to enjoy the “Back Yard Sale Lunch Special” featuring a lunch menu item including a side, a drink and tax for ONLY $10.! Relax after a day at the Spa or Hiking in Ojai with Vesta’s Sunday Champagne Brunch from 11am – 4pm. Choose menu favorites including Brioche French Toast with Berries alongside Applewood or Veggie Bacon or the Ojai Breakfast Wrap with a bottomless Champagne or Mimosa glass. Would you like to design your own Brunch moment? Enjoy Vesta’s fully stocked Omlette Bar and bring your brunch dream to reality on the spot. Whatever you’re looking for – Vesta has it all overflowing with a warm and friendly attitude to greet you. There are always great things cooking in the Vesta kitchen, please stop by and visit them today! VESTA IS LOCATED AT 242 EAST OJAI AVENUE, OJAI, CA 93023 · IN THE OJAI ARCADE. Vesta named after the Greek Goddess of Home and Hearth serves up a sophisticated yet casual style with an emphasis on fresh, local ingredients alongside an array of vegetarian selections. A passion for good food and beautiful surroundings ensures each guest a memorable and delicious dining experience for lunch, brunch and much more. Vesta lovingly prepares everything from on site meals within the restaurant to intimate anniversary celebrations for two, weddings, corporate events, and even press events for 1,000 and more. Vesta the Restaurant and their in house Catering team have been pleasing palates for over 15 years by delivering sumptuous dishes to be savored within the restaurant or for your private event or celebration. Creative and inspired Vesta Owners Morgan Salmans & Stephanie Brown were raised by a lineage of grandmothers that believed in expressing love through baking and preparing meals for large families, which is the foundation for their delectable culinary point of view. Delicious Dishes Served with a Smile. 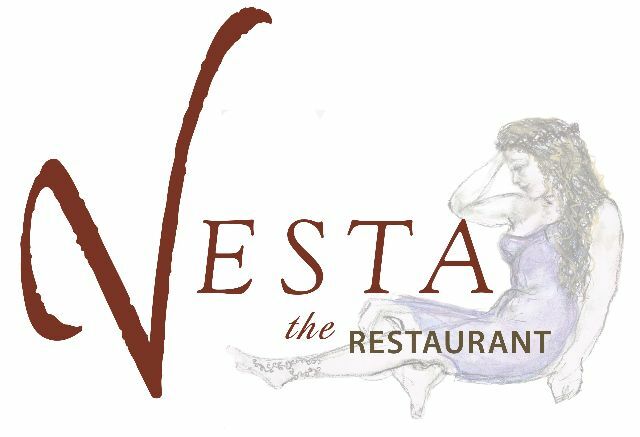 Vesta the Restaurant is located at: 242 East Ojai Avenue · Ojai · CA · 93023 · 805.646.2339. Please see: www.vestaojai.com for more information. Christine Hansen is the President & CEO of Thirty-Three Productions, Inc. As a visionary and industry veteran, she brings “Dreams to Reality” and is globally recognized for her mission to merge the power of music, art, and media to unite the world. In 1998, Hansen founded Thirty-Three Productions, Inc., a boutique event production, marketing, and promotional agency that has produced meaningful branded marketing campaigns, live entertainment, and television events of all size and scope that inspire change and global awareness for social issues that are affecting our world today. Hansen’s relentless drive and passion have enabled her to make tremendous contributions to leading philanthropic organizations including: The 46664 Campaign on behalf of Nelson Mandela, The Entertainment Industry Foundation, The United Nations Association, Rock the Vote, Hopes Voice International, The Peapod Foundation, A Place Called Home, and more.